Pop the top and get celebrating! 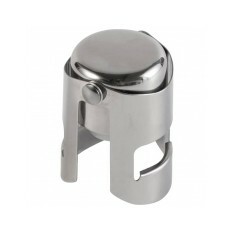 But make sure your bubbles stay fresh with one of our promotional Champagne Stoppers. 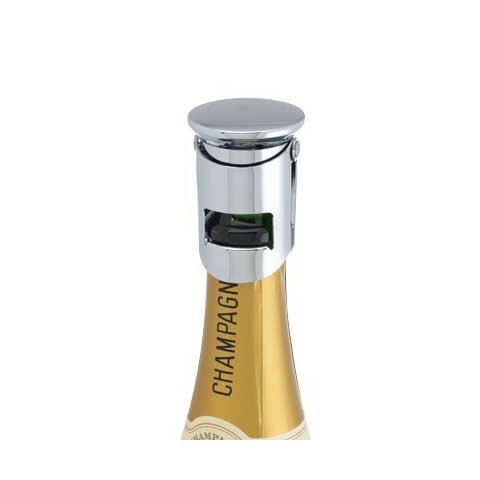 Customised champagne stoppers are not only a great way of keeping your drinks fresher for longer, they are ideal for advertising your company. Whether you are a bar or a hospitality company, these stoppers will keep your brand on show at all of your events and add brand reinforcement to all of your other personalised products for the event. 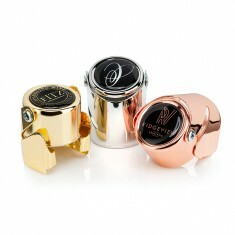 These branded champagne stoppers are great for keeping more than just your bubbles around for longer! Laser engraved or printed in full colour, our branded Champagne Stopper can be personalised with way depending on what your preference is. Available in either silver chrome or gold plated for a premium finish, these stoppers are ideal for keeping your bubbles fresher for longer. Looking to check the quality for yourself? Give our sales team a call or click on the samples button your basket and we can arrange one for you. Chrome plated. Two-part black gift box. Customised via laser engraving. Silver in colour. Arms secure around the neck. Air tight. Individually boxed. Patented design. Printed in full colour. Dome resin finish. Silver or gold available.